While it’s fairly true that the world of print has definitely been overshadowed by digital, there’s still nothing quite like flicking through a real, illustrated book. 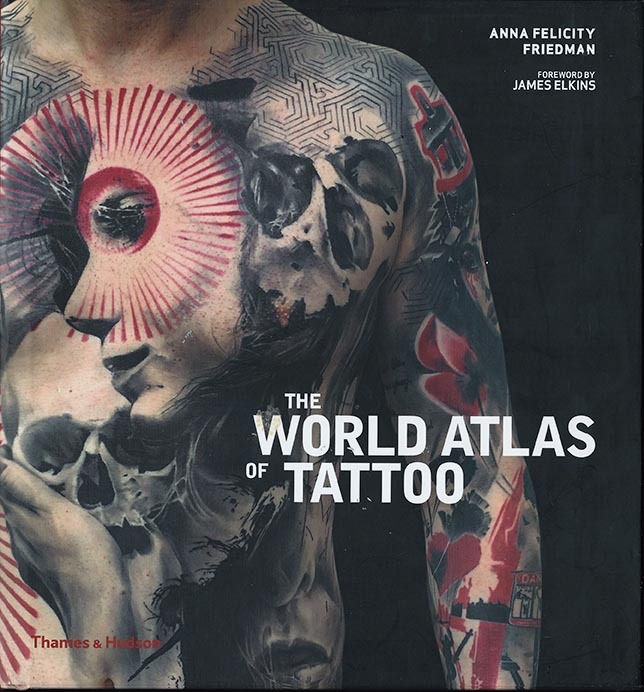 The World Atlas of Tattoo was published last autumn and is a beautifully printed, heavyweight hardback book, featuring the work of just 100 of the world’s best tattoo artists from every corner of the globe. Including… yours truly! 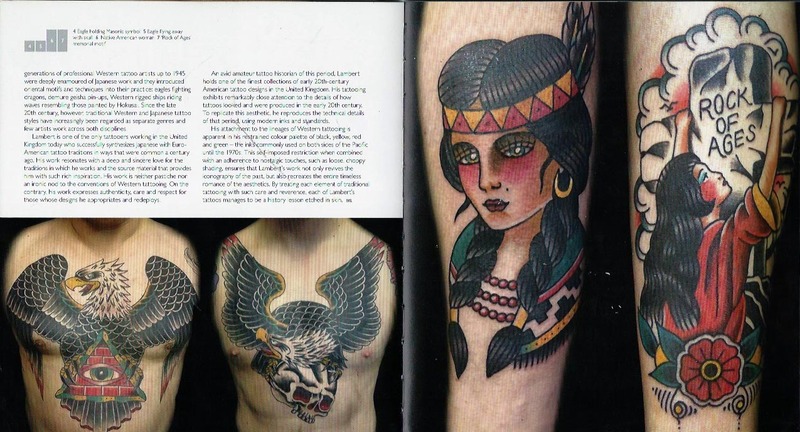 The book was put together by tattoo historian Anna Felicity Friedman of tattoohistorian.com – who has been studying the art for well over two decades. It also features interviews by and contributions from such illustrious historians, journalists and scholars as notable art historian Dr. Matt Lodder, Polynesian tattoo historian Tricia Allen, anthropology professor Dr. Sebastien Galliot, tribal body modification expert Dr. Lars Krutak and many more. Their combined wealth of knowledge and research have ensured a comprehensive look at tattoo art from its historic roots to the modern day. 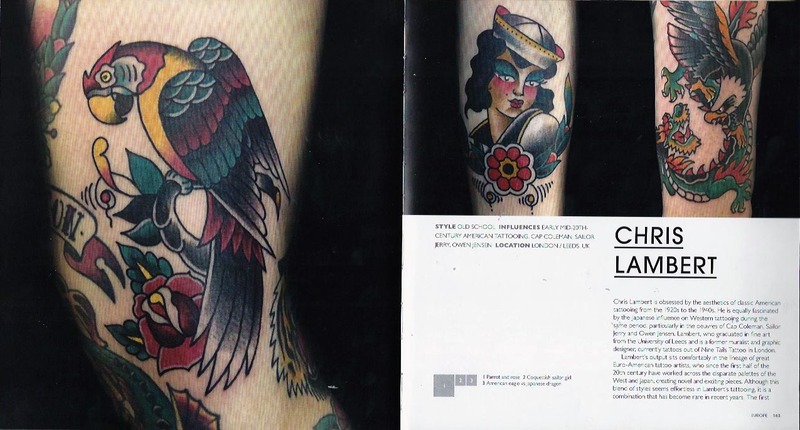 The World Atlas of Tattoo is organized geographically, with each section prefaced by an overview of tattoo styles traditionally found in that particular area as well as profiles of notable tattooists there. It looks at the tattoo styles and techniques that have evolved (or remained largely the same) from indigenous and early work and looks at the very newest and most inventive styles that have no historical precedent. So those of us doing traditional work using the very latest equipment and inks can stand shoulder to shoulder (page to page, maybe?) with those doing stick and poke techniques or keeping the last of their tribal tattooing history alive. It’s fascinating and very well put together by the authors and contributors. Considering the size of the world and the countless thousands of talented people across it, to be featured as one of the top tattoo artists was a huge honour. Author Anna Felicity Friedman had a few key criteria for choosing her 100 – with only a couple of exceptions, we’re all artists who emerged from the mid-1990s to the present day. Rising stars, as Anna calls us! And more than a quarter of the artists profiled are female, which is brilliant to see in such a male-dominated profession. I can only encourage anyone who is a fan of tattoos and tattoo history to pick up the book, which is out to buy across the world now and at under £25 ($35 in the US and elsewhere) is incredibly reasonably priced for the sheer amount of work that went into it and the countless hours of entertainment and education you will get out of it. I’m enormously privileged to be a part of it.